It takes a bit of digging and link-following to find the actual recipe, but I think I’ve got there, so this will definitely be one for my daughter to have a go at making, as she loves baking and I love eating cake! 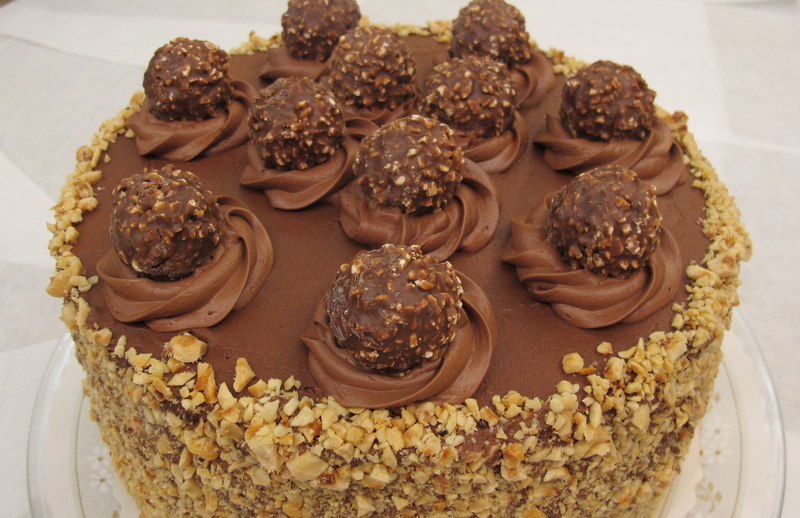 This entry was posted in Recipes from other blogs / sites, Sweets / Desserts and tagged cake, chocolate, chocolate cake, ferrero rocher, nutella. Bookmark the permalink.